The source code of gFacet is published under the GNU General Public License and hosted on Google Code. 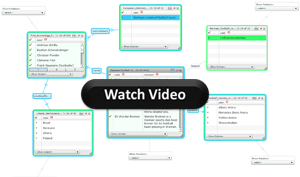 Complex semantic querying made easy! gFacet is a new approach to explore RDF data by combining graph-based visualization with faceted filtering techniques. The facets are represented as nodes in a graph visualization and can be interactively added and removed by the users in order to produce individual search interfaces. Even multiple and distantly connected facets can be integrated in the graph facilitating the access of information from different user-defined perspectives. 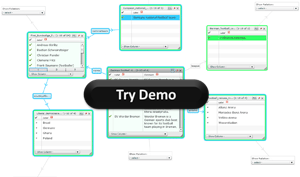 gFacet is based on the open source framework Adobe Flex and uses SPARQL queries to access RDF datasets. gFacet is readily configured to access data from the LOD cloud and only requires a Flash Player plugin to be executed (which is usually already installed in web browsers).